Twenty five local businesses, following the initiative of EQQUO Málaga, Spain’s new green party, have launched a manifesto for a more socially responsible and environmentally friendly economy. The manifesto was launched in November at the Fair Trade shop (tienda Comercio Justo) in the old town of Málaga city. Angel Rodriguez, one of the party’s leading candidates, presented the initiative as a call to all of Málaga – businesses, associations, parties and unions – as a way to overcome the current social-environmental crisis and drive forward with a new productive and economic model that respected the limit of our planet’s resources. To work towards this end, the initial group of 25 businesses will create an association or network of local companies and organisations that will aim to comply with a basic set of criteria to develop the model for a sustainable economy. After the elections of November 20th a conference will be organised to advance the ideas of the group. Signatories so far, representing a cross section of the market place, include businesses from renewable energies, restaurants, press, tourism, environmental education and organic food. On behalf of EQQUO, Luis Campos, the Málaga representative, offered the party’s commitment to the points detailed in the manifesto that aim to be a solution to the current crisis. Essentially the objective of the manifesto is to develop a model that focuses on real necessities that reduce our ecological footprint, one that is sustainable and self-sufficient in energy needs. It aims to develop quality ‘green’ employment through a reduction in the working day, fair wages and equality and a gradual conversion to a green, clean production, organic farming, eco-building and sustainable transport, natural and alternative medicine and eco-tourism. 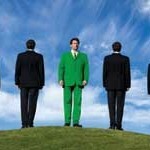 This entry was posted in Whole Earth and tagged eco living, environment, green finance. Bookmark the permalink.